It is this time of the year that tops and best of are the norm for connoisseurs and professionals. Communication to the consumer is achieved in numerous ways; posting is a common way, be it on a blog or be it on Facebook. This year, I thought I would like to do something different. 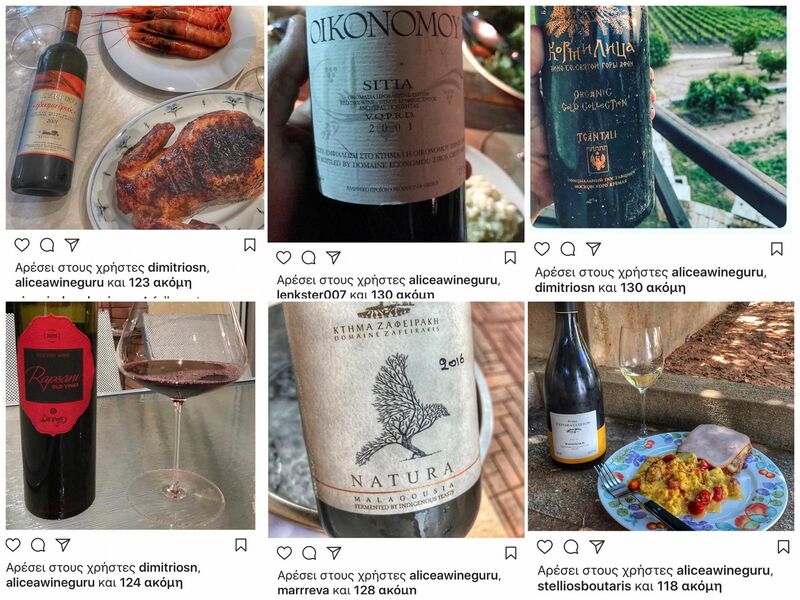 Instead of writing about the wines that scored the highest, like I did last year (Top Wines of Greece tasted in 2016), I thought it would be fun to do it the other way around; by recording which wines had received the most likes when I posted them on my Instagram account. 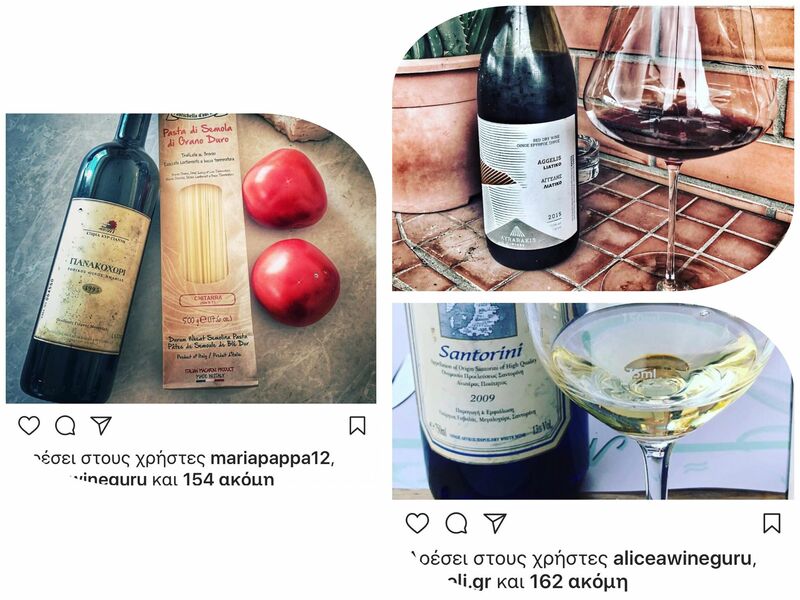 This I will do both for Greek wines and International wines. Why Instagram? Simple; because it is the social media platform I enjoy most (so far), certainly more than Facebook, even though a lot of my work goes through that channel too. Please excuse me for not being a Twitter guy. Of course, this could change in the near future, but, up to now, I like the relaxed mode and perhaps the more selective audience of Instagram. 16. Kechris Afros Pet Nat Retsina: The first pet-nat Retsina (Ritinitis wine) with cool packaging and delicious juice. 12. Gerovassiliou Viognier 2016: Viognier goes well with everything and Gerovassiliou's is always a stunning exotic example. 11. Wine Art Assyrtiko Oak 2001: Fine evolution for this oaked Assyrtiko from Drama that happens also to be the very first release of the label. 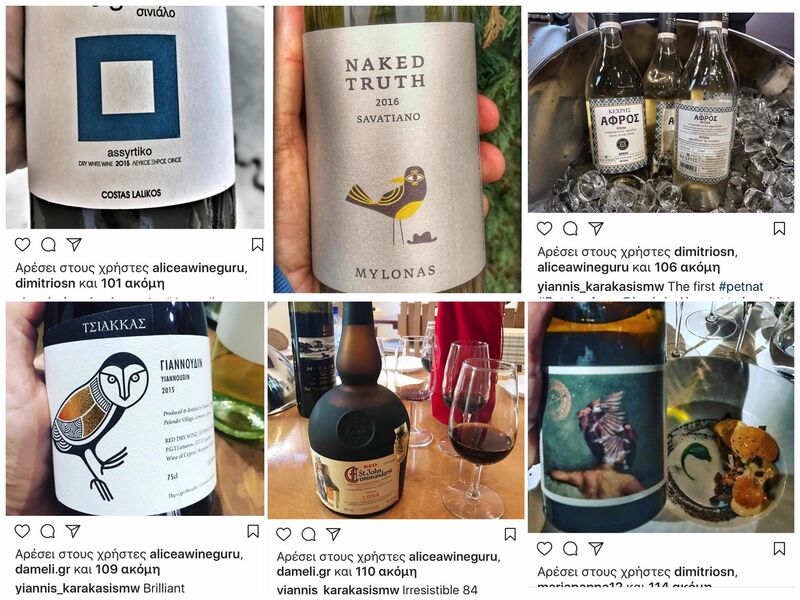 Who said that Assyrtiko with oak does not age? 10. Dougos Old Vines Rapsani 2015: New vintage for Dougos boutique winery and what a great one it is. 09. Zafeirakis Natura Malagousia 2016: Another dimension of the variety by Zafeirakis with maturation in old oak. 08. Oikonomou Siteia 2001: Hard to imagine the likes if the bottle was not oxidised. 07. Kormilitsa Gold 1999: A combination of power and silence in Mt. Athos. Related post Kormilitsa Gold: The Jewel of Mount Athos and Tsantali. 6. Lyrarakis Aggelis Liatiko 2015: Pre-phylloxera vines do make a difference with Lyrarakis Liatiko showing concentration and complexity. 5. Kir Yianni Yianakohori 1995: First vintage of Yianakohori holding extremely well. 4. Gavalas Santorini 2009: One of the best mature Santorinis I have ever tasted. Fine job! 3. 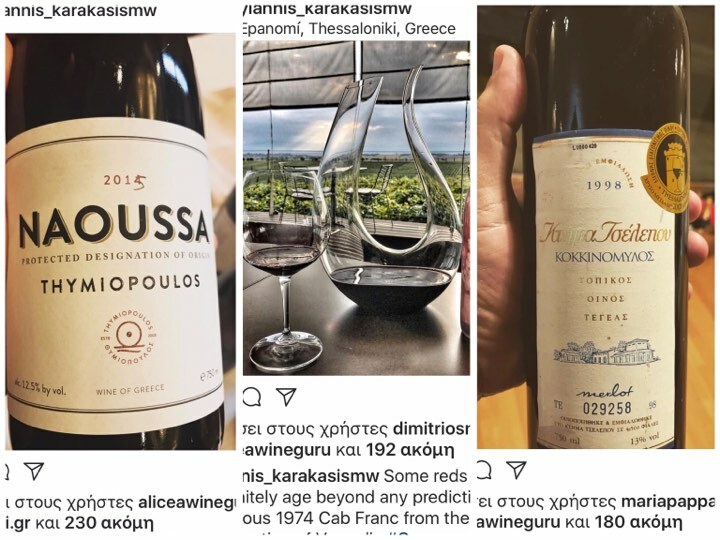 Tselepos Kokkinomylos Merlot 1998: Greece's most likely top Merlot in its first vintage raised many eyebrows when opened during some wine courses. Harmonious and exciting. 2. Gerovassiliou Cabernet Franc 1974: A very rare bottle bearing no label; At these levels of quality the wines go beyond tasting descriptors!